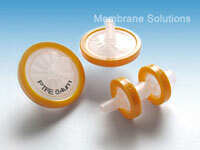 MS® hydrophilic PTFE syringe filters are using special hydrophilic PTFE membrane as the filter medium. This material has a maximal chemical and pH resistance and optically clear when wet with water. 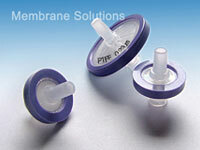 Hydrophilic PTFE syringe filter is a versatile filter for aqueous and aggressive organic solvent-based solutions and especially ideal for HPLC operation. Pure polypropylene housings and color-coding housings include smooth rim or gear rim are all available.